ESPN motorsports writer Bob Pockrass reported Tuesday that a U.S. District Court judge David Hurd has decided that the family of Kevin Ward Jr. can pursue its claims against retired NASCAR driver Tony Stewart, relating to the Ward’s 2014 death after he was struck by a sprint car driven by Tony Stewart at Canandaigua (N.Y.) Motorsports Park. According to Hurd’s decision, the Empire Super Sprints race during which the incident occurred is considered a recreational activity under New York law, so waivers signed by Ward and his father, who also was his car owner, are not enforceable. The judge also decided that whether or not Ward suffered pre-impact terror or pain, as his family contends, is up to a jury to decide. Hurd heard testimony from both sides Oct. 27 in an hour-long hearing. After wrecking out of the race at Canandaigua on Aug. 9, 2014, Ward, who had marijuana in his system, according to a toxicology report, climbed from his car and approached Stewart’s car as cars continued on the darkened track under caution, and he was struck by Stewart’s car. A grand jury elected to not file criminal charges against Stewart, but the Ward family has filed a wrongful death lawsuit against Stewart for an undisclosed amount. 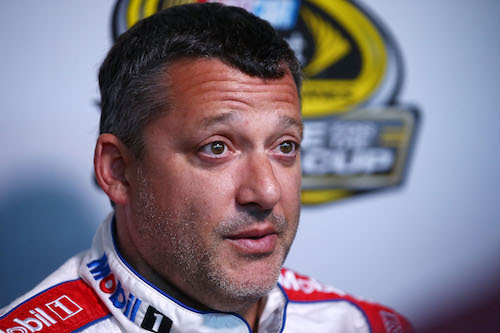 Stewart asked the judge to throw out three of four claims against him before the case goes to trial, arguing the wrongful death and gross negligence claims should be dismissed, citing the waivers signed Ward and his father and the known inherent risk of racing. Stewart also contends that the claim of pain and suffering and pre-impact terror is baseless, because Ward died instantly and had no fear of death because of the marijuana of which he was under the influence. The Wards contend that their son, first, suffered a broken leg and felt pain from that injury moments before his death and that drivers should not expect to be hit by another car because of safety personnel present and because drivers often get out of cars after wrecks.